Residents line up to cast their ballots at the Farmington Community Center Tuesday morning. 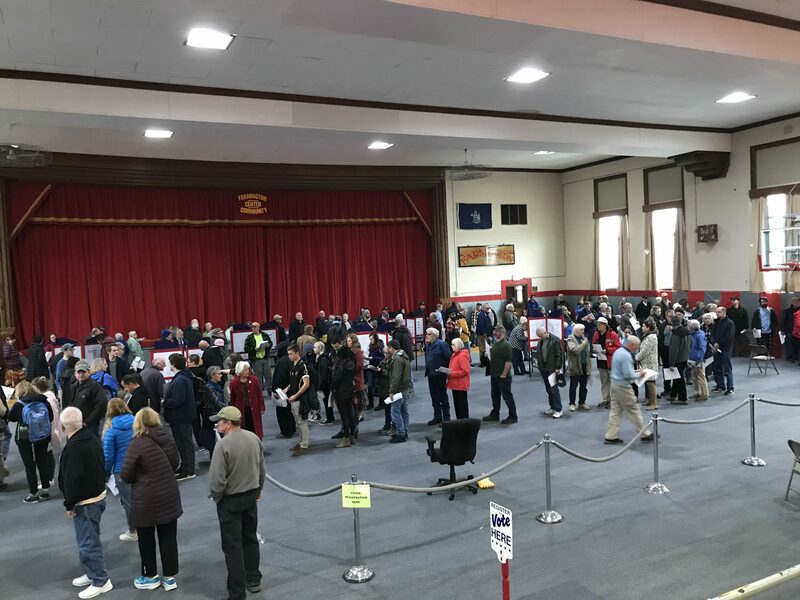 Residents were at the polls across Franklin County Tuesday, casting their votes for the next governor, a U.S. senator and house representative as well as addressing a number of state and county positions. Polls close in all towns at 8 p.m. Results will be posted here as they come in. All results should be considered preliminary and unofficial. Thank you for posting the election results. Love seeing how our local towns voted. I hope the officials in charge of voting will re-consider how voting takes place. It was especially confusing with the long lines and lack of direction. There was no privacy in voting as the likes snaked around the area where people were filling out their ballots. Lastly, the wait time was incredibly long and the process was not streamlined for those with small children or the elderly. Please consider making some changes for those of us who like to vote in person. Thank you! We will see what the future hold. Other than Farmington, were there any other precincts where voter intimidation allegedly occurred? Outrageous to learn that town officials allowed this activity to take place on our public property, right on the lawn of the community center. It is a federal offense to attempt to dissuade people from voting.